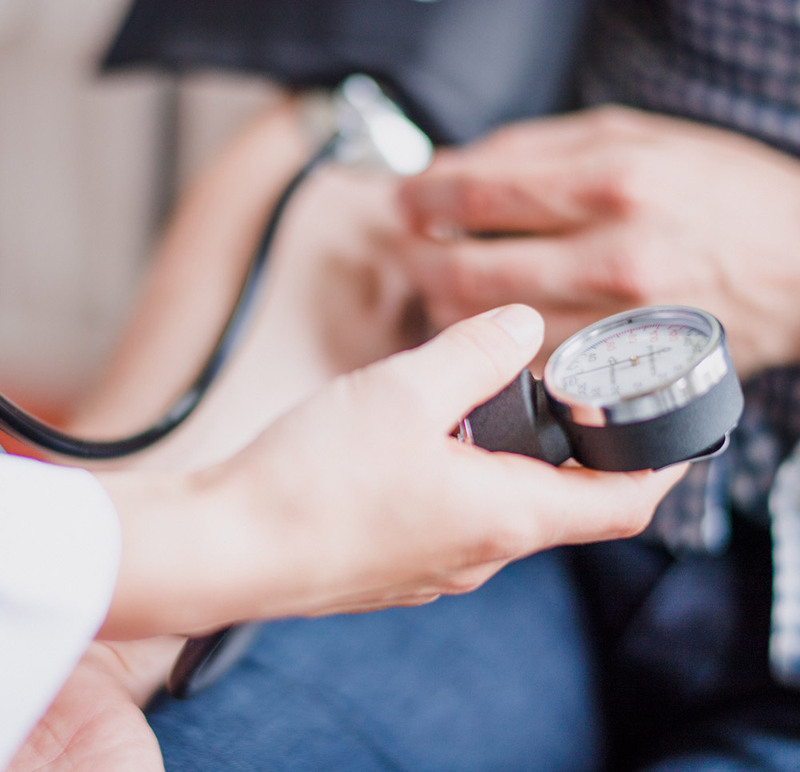 Our primary care facility, located in Gretna Medical Center of New Orleans has some good information for you on why seeing your primary care doctor is so important to the wellness of you and your family's well-being. Annual wellness checks are crucial for maintaining your health. It is recommended that you get a wellness check each year. Frequent blood testing is recommended to catch the early stages of any chronic diseases such as high blood pressure and diabetes. Our providers offer treatment plans for acute pain and injuries. Schedule an appointment today for a consulation! We are proud to be licensed as a civil surgeon in the state of Louisiana to ensure seeking lawful permanent residence in the U.S.
We evaluate and help you choose the right measures to ensure that you wake up the next day full of energy. We are here to help manage your chronic conditions such as high blood pressure, high cholesterol, and more. Losing weight can be a difficult task for a number of patients. Come in today to see if you qualify. We are pleased to offer personalized care in a small, comfortable environment. WHY US FOR YOUR PRIMARY CARE NEEDS ON THE WESTBANK? At Gretna Medical Center, we offer on-site X-Rays, ultrasound, EKG, chronic disease management, medical weight loss, preventative screens, wellness exams, and much more. Our staff consists of employees who are highly skilled at providing patients with excellent personalized and concerned medical care along with superior customer service. Many clinicians and staff members at Gretna Medical Center are bilingual, including Spanish and Vietnamese speaking individuals. Dr. Hai Nguyen and the professional healthcare team at Gretna Medical Center can be counted on to provide a wide range of healthcare in a welcoming, courteous, and patient-centered environment. Gretna Medical Center is a state of the art healthcare facility offering urgent care, primary care, and a pharmacy all in one convenient location. With over 20 years of combined experience, the center offers personalized reliable services that you can count on. WHAT TYPES OF PCPs ARE AT GRETNA MEDICAL CENTER? Internists mostly focus on general medical care for adults ranging from all age groups. They are qualified internal medicine residents and are certified to diagnose and treat a broad range of common issues in this area. Family doctors can be your single point of contact for the lifespan – starting from childhood through to adulthood. Their specialisation resides in minor surgery and obstetrics, and they are qualified family medicine residents. These type of PCPs are general practitioners looking after health concerns of newborns, toddlers, children and adolescents. They are qualified pediatric residents. WHAT SHOULD I BRING TO MY FIRST VISIT TO A PCP? A Primary Care Provider is a nurse or a doctor who takes care of your basic health concerns to ensure that your routine checks are performed and that focus is always on prevention rather than cure. In simple terms, a PCP is your key partner is keeping good health. They see you at regular intervals to assess your health, perform blood checks and important screenings and refer you to specialists when a need arises. A PCP is different from a specialist and is the first step in seeing a specialist. Their skills are intended for allowing diagnosis and treatment of common health issues. A typical visit to a PCP can include a quick check on your medical history, a brief interview to understand your current health state and a physical examination. They can ask for further screening and tests such as a blood test, a urine/stool test or an X-ray for further examination. If the findings reveal a deeper health concern that a PCP cannot treat, they refer you to a specialist for further diagnosis and treatment. A PCP is also known by other names such as a general practitioner or a primary care doctor.